In the cooling foothills of Pinnacle Peak, the AAA Five Diamond Four Seasons Resort Scottsdale offers a truly handcrafted desert resort experience. The Resort features 210 luxuriously appointed spacious casita guestrooms, including 22 suites which open to astonishing scenery in the high Sonoran Desert. Heart-skipping views garnish the imaginative contemporary American fare. Located adjacent to the renowned golf courses of Troon North and set on 40 acres of vibrant desert blooms, the Resort also offers and array of luxury amenities including an award-winning, full-service Spa equipped with 14 treatment rooms, a 6,000 sq. ft. free form bi-level pool, 24-hour fitness center, and more. 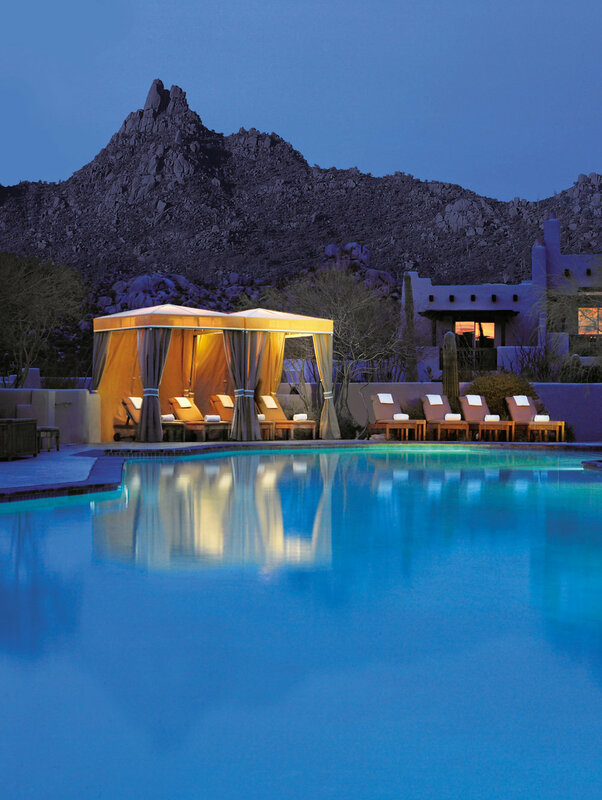 Treat your guests to luxury accommodations and five diamond service at Four Seasons Resort Scottsdale at Troon North. Immersed in desert scenery, Four Seasons Resort Scottsdale offers incredible getaways – from family adventures to romantic retreats. Spend the day hiking and exploring, lounge poolside or swing for the greens on two of Arizona’s most celebrated golf courses. Indulge in an extensive array of seasonal, indigenous and innovative skin and body treatments, scrubs, clay wraps, facials and massages in the 12,000 sq. ft. spa or work up a sweat in the 24-hour fitness center.